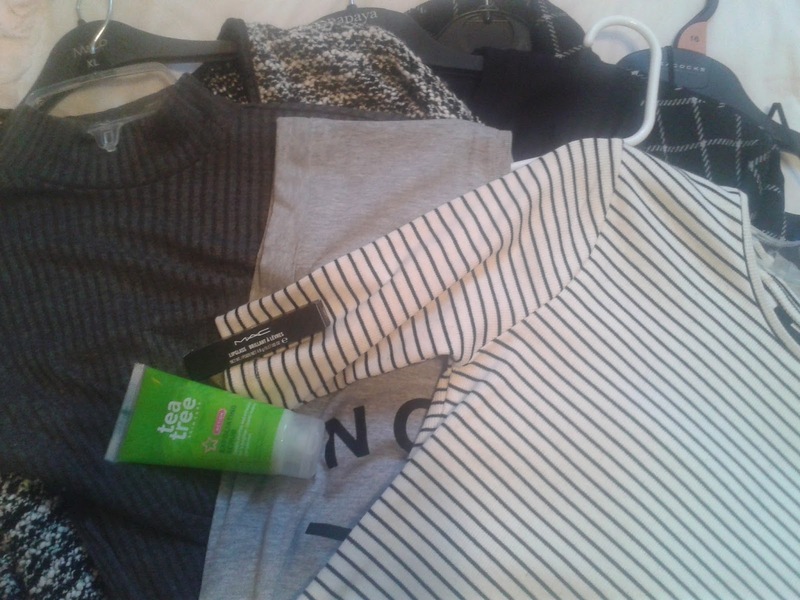 I've been on a couple of shopping trips lately and originally I intended to do a haul for each, but then I thought, why not do one big collective haul?! 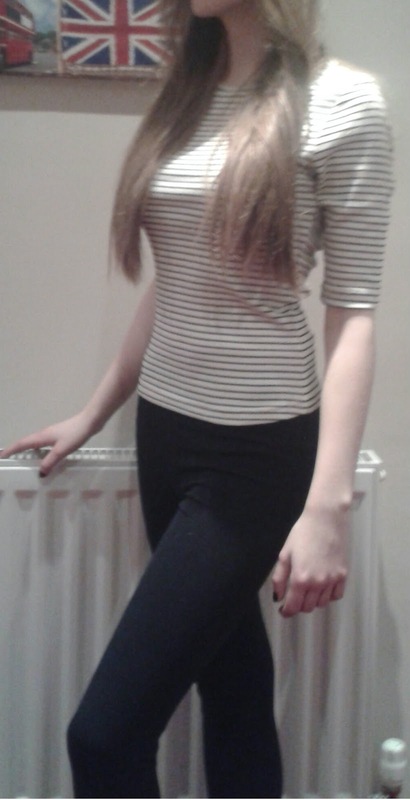 This horizontal striped top is quite basic yet flattering. It's extremely figure-hugging so I personally chose to buy the next size up so it was more comfortable and not so tight. The colours are monochromatic which helps to give the illusion of a slimmer body, in contrast to the horizontal lines which are usually used when trying to accentuate natural curves. The fabric is super comfortable and for such a good price I couldn't pass it up! 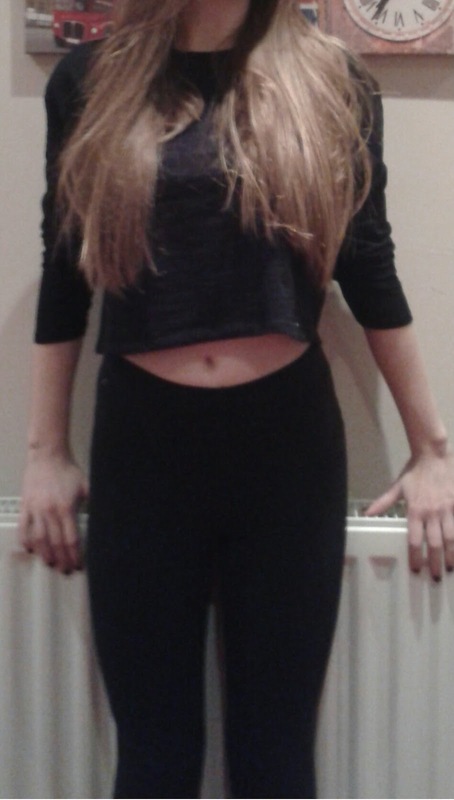 Honestly, I've never liked crop tops. They look great on other people, but not so much on me...however I decided to take a risk and buy one! 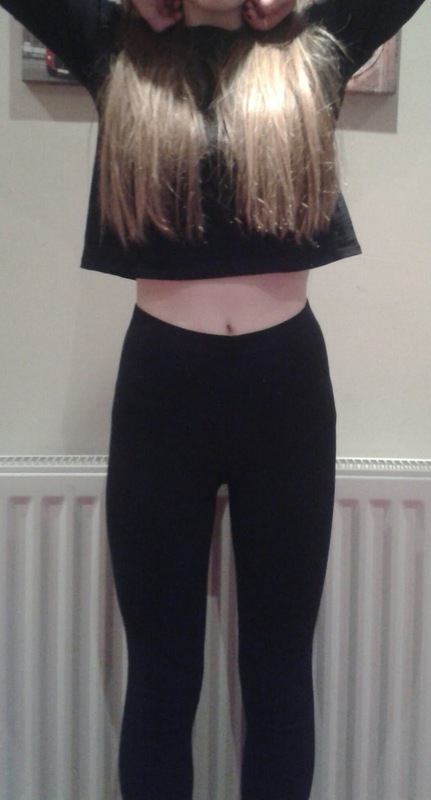 As you can see, I haven't got the flattest stomach in the world, but this particular crop top makes me feel comfortable enough to walk around in and not hide my stomach behind all my shopping bags. It's long enough so that if I don't feel so great about showing off my stomach one day, I can pull it down so it can't be seen as much, but it's still short enough to pass as a crop top. Once again, the fabric is really comfortable and it's great for wearing when I'm just chilling around the house. 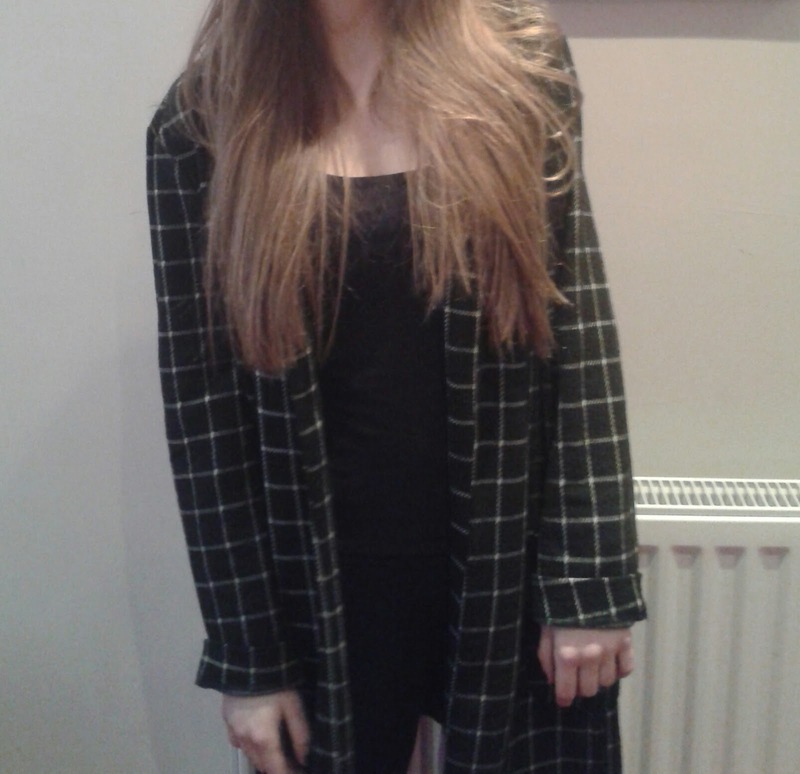 I'm fully aware that the cold weather is coming to an end, but I have an obsession with coats! 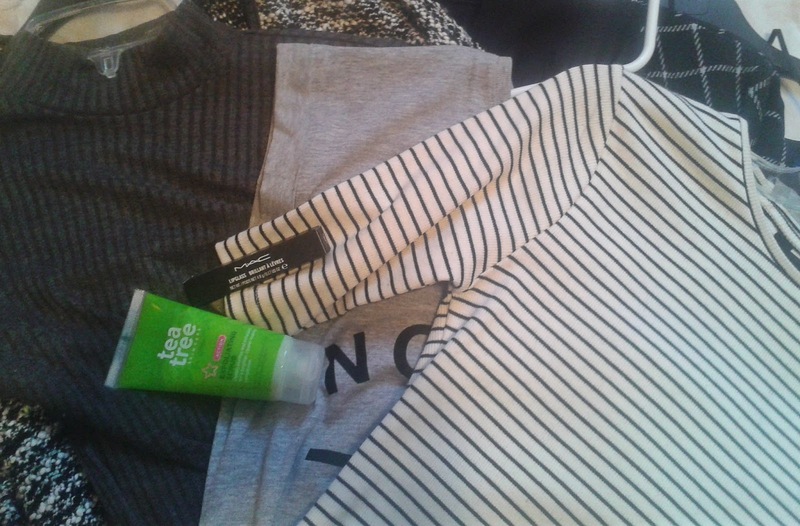 I've bought 7 over the past two years (many of which I gave to charity at the beginning of this winter) and I almost bought another one when shopping online yesterday, but I managed to stop myself! 4 coats is the limit this year! 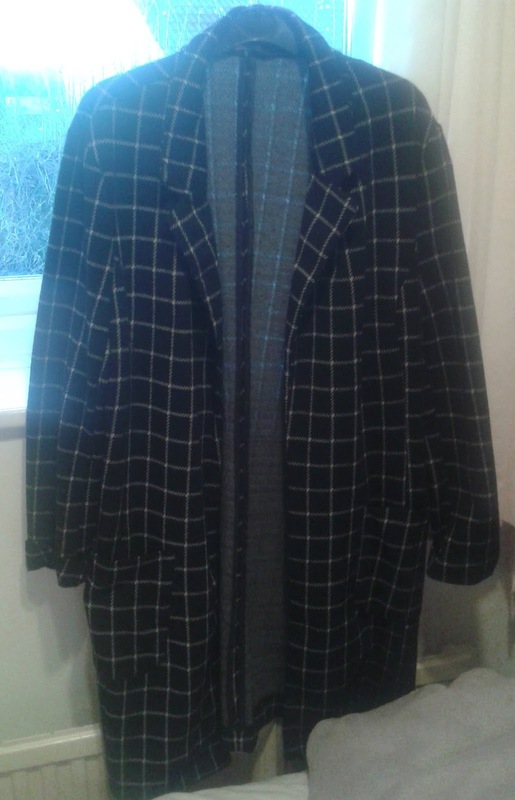 I bought this grid printed duster coat in the sales, and as you can probably see, it's waaay too big for me! 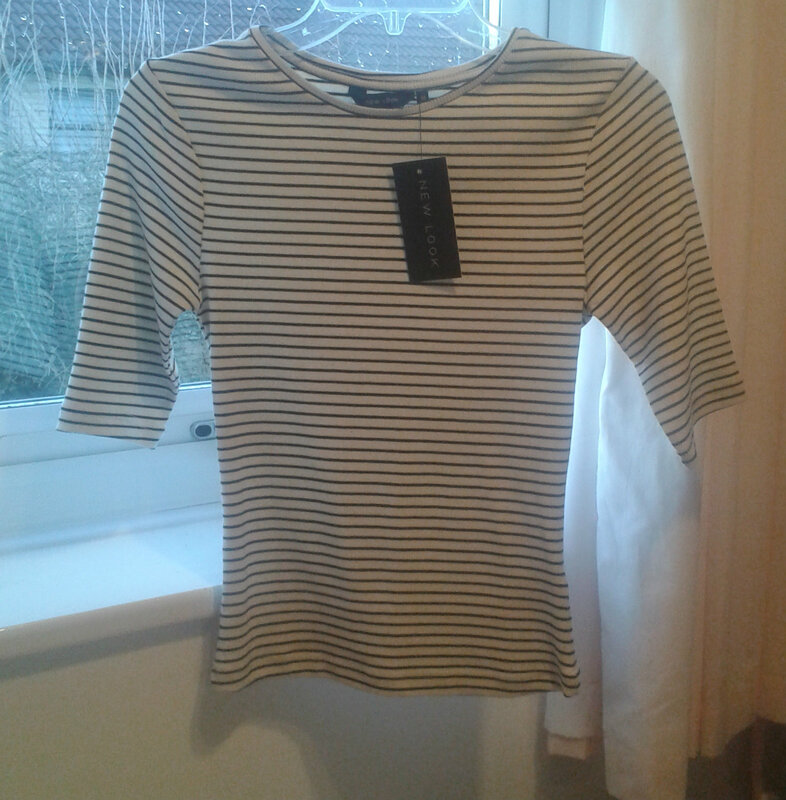 I'm a size 6/8 and I was absolutely gutted when I saw that this was the last one they had in store and it was a size 16. BUT I bought it anyway! 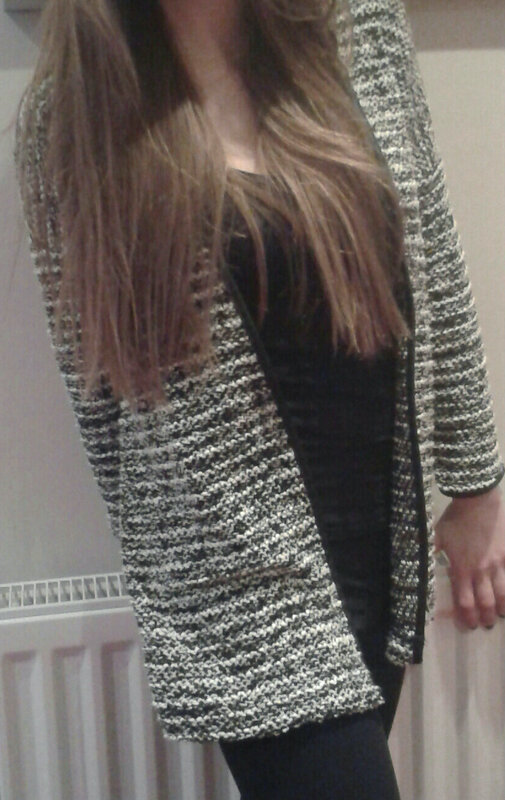 Bigger sizes are cosier and I love this coat! Sorry sorry! I'm lazy and I didn't iron this shirt before I took a photo of it! 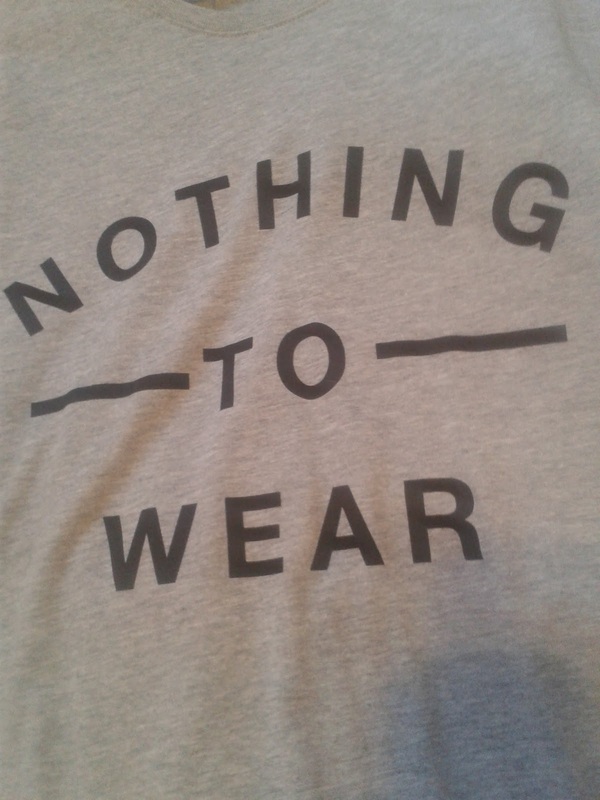 It's so comfy and perfect for wearing around the house. If I'm having a lazy film watching day, I'll throw this on with a pair of basic black leggings and snuggle up under a blanket with a cappuccino and it's perfect! The slogan is so accurate! If I just need to throw something on so I can run down to the shops or pick something up that I left at work, I pair this with a black leather jacket, jeans and a bold red lip...easy but effective! 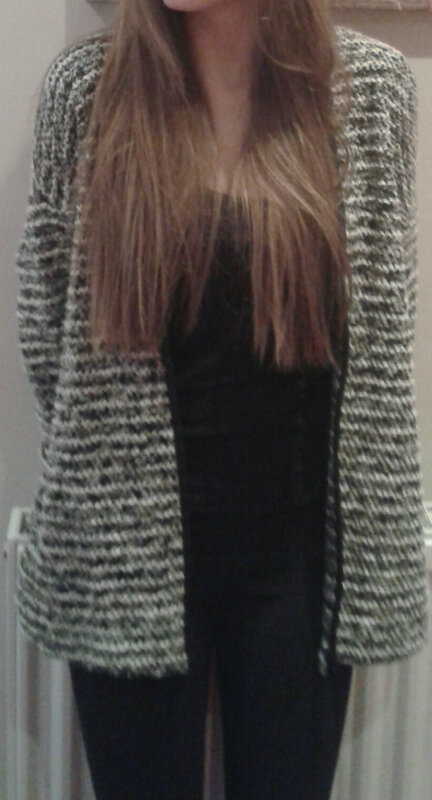 This cardigan is amazing! 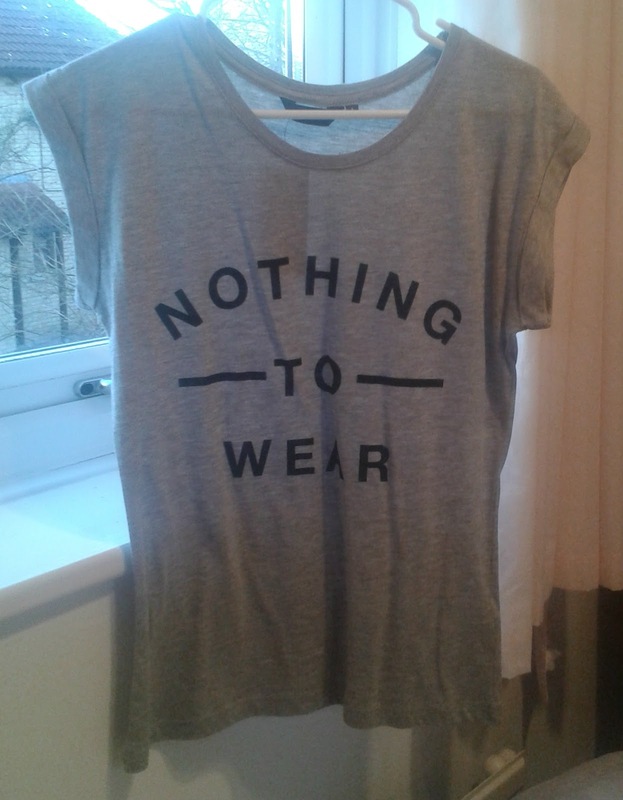 I love it so much, it's the perfect edition to a lazy day outfit! The fabric is so soft and keeps you warm on chilly days. The colours of the material are mainly grey, white and black and the edges are black faux leather, giving it a slightly edgy look. 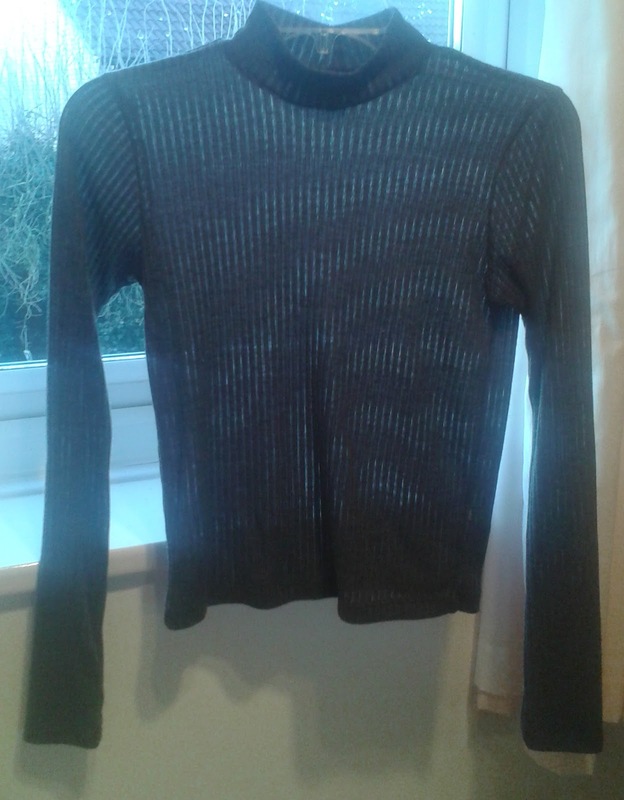 I wear it like I do in the pictures above on days when I'm tired and just stay inside, but I also throw it over my new ribbed turtleneck Topshop jumper (which you can see below) paired with black jeans and once again a bold red lip to look a bit more sophisticated if I'm going out. 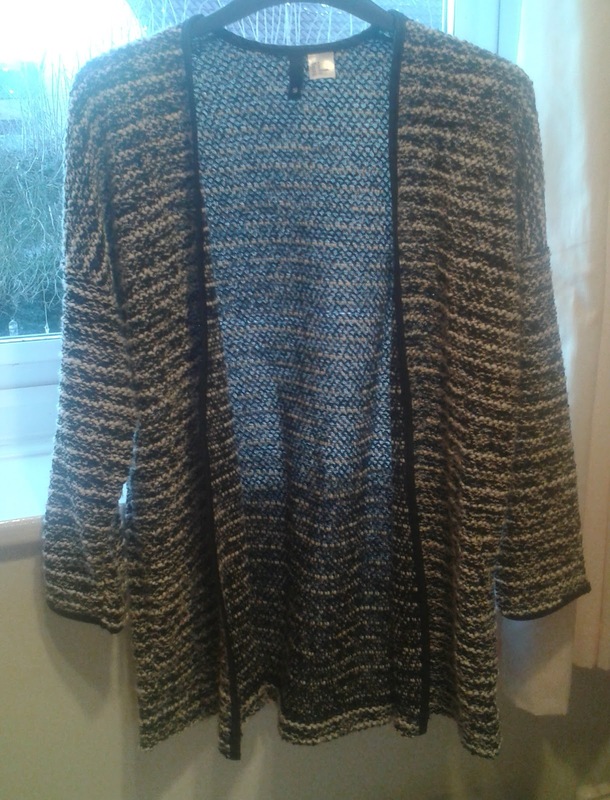 I would recommend this to anyone who's looking for a cozy cardigan but doesn't want to spend £45-50 on one in places like Topshop or River Island. 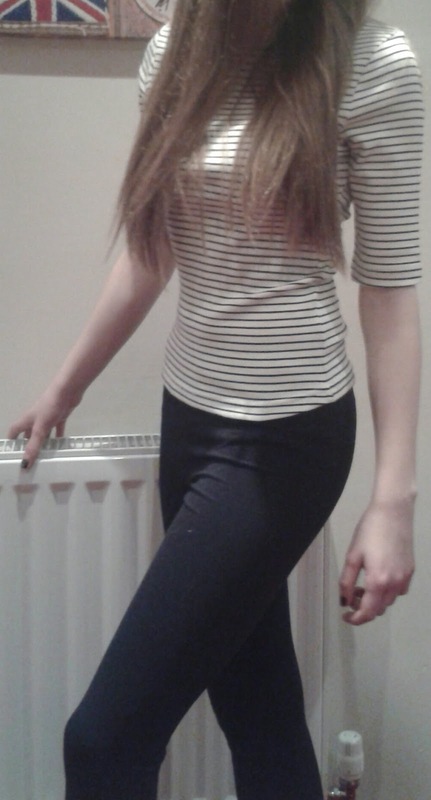 This is one of my favourite pieces from Topshop. It's so casual, but easily glammed up. 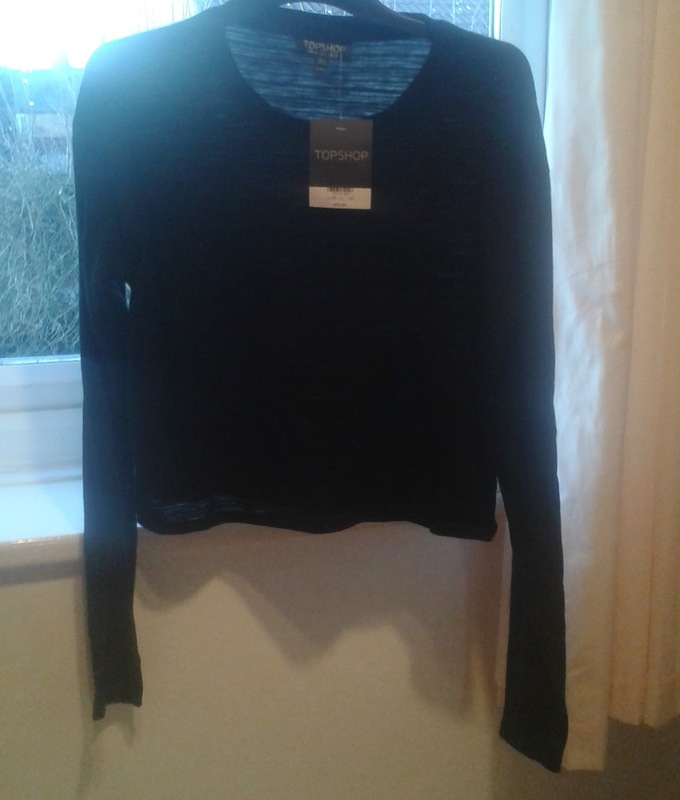 Because the design is ribbed, it's only slightly see-through which I love! It's extremely figure-hugging and can be a bit tight at times, but looks great! The grey/brown colour of it means it matches almost anything so it's easy to accessorise. I also love that it has a turtleneck as these are super popular this season and perfect for cold days! 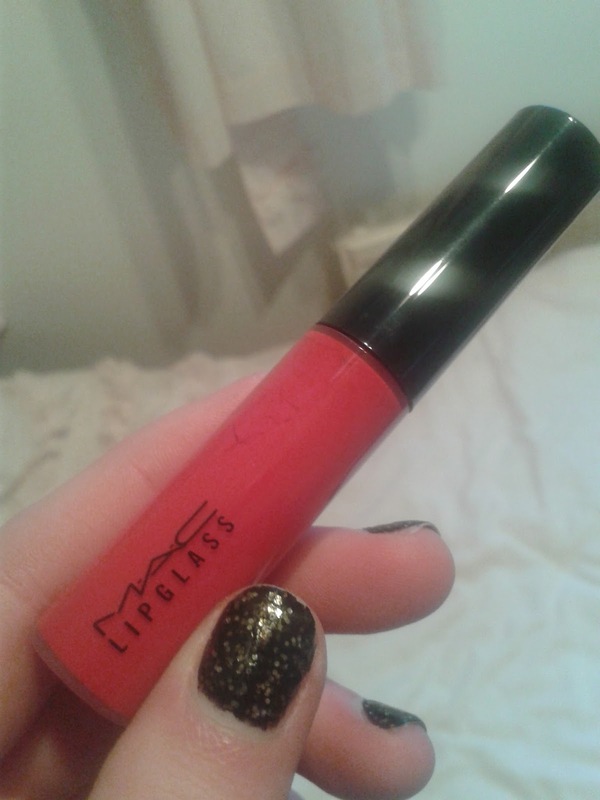 This is such a beautiful lipgloss! 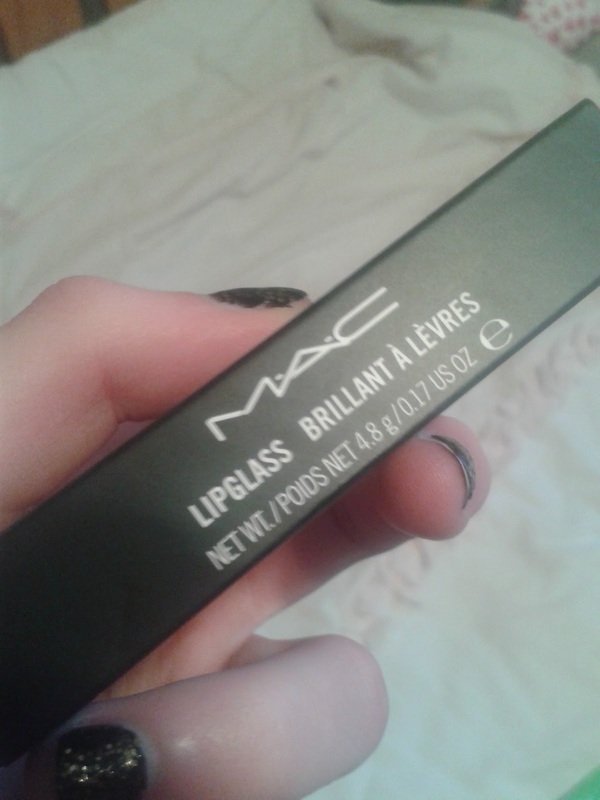 I was hesitant about buying it because of the price, but it was definitely worth it. The colour is so vibrant and absolutely beautiful! 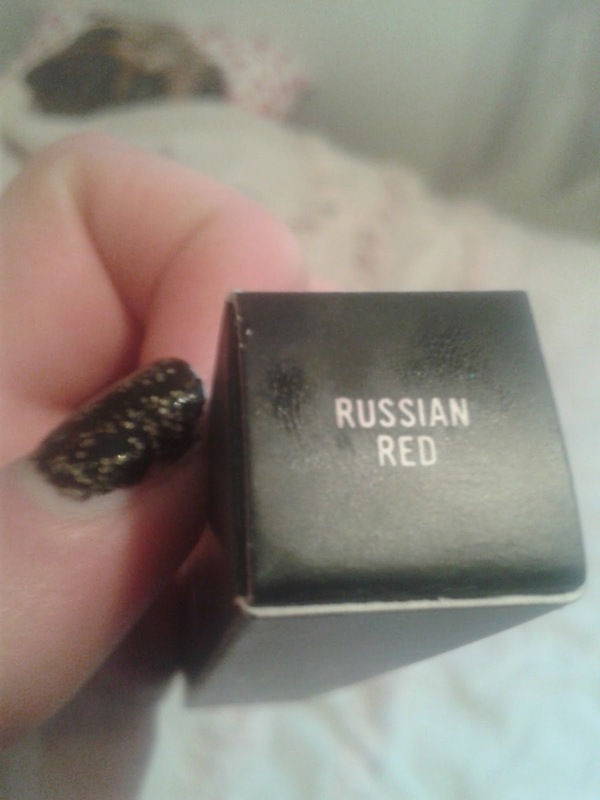 This specific colour, 'Russian Red' is exactly what you would expect it to be...a dark mysterious red. Although the product is quite sticky at first, it does eventually dry and feel normal. I also found that the colour faded when I ate, so I had to reapply after but it did stay on for most of the evening! 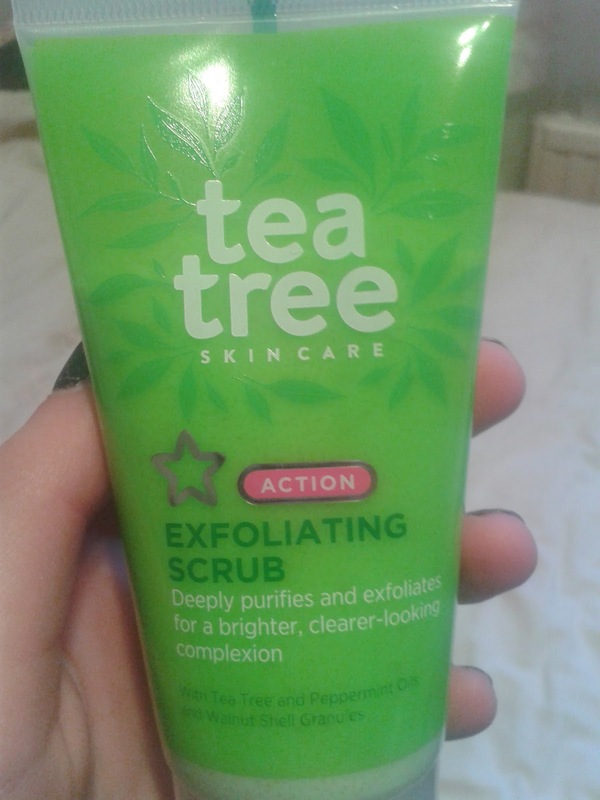 And lastly, I popped into Superdrug and picked up a Tea Tree Skincare exfoliating scrub. It's around this time of year when I start to get those lovely spots back and this product really helps get rid of them fast and easily...it smells lush too! So that's all for this haul! I hope you've enjoyed reading and have a lovely rest of the day!